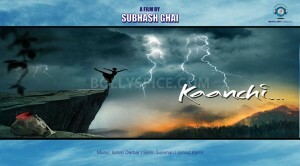 With heavy rush of big movies coming in August, Subhash Ghai has postponed his release date from 15th August to 30th August, 2013. It will purely be director’s film with his command and conviction… “I know that people are really waiting for a big film from me with wholesome entertainment for every section of audience. Kaanchi has a great story with a message and fun and drama combined and great music to cherish. “I have recorded four songs by Ismail Darbar and Salim Suleman on the lyrics of Irshad Kamil and I can say today that it’s going to be big blockbuster music album on the day it will be released. My new heroine has done the fantastic job to take over the first row among stars of today. It’s larger than life film and production both and I am waiting for 30th August to show it to my audience”. 17 queries in 1.289 seconds.